Long time Inscriber Janet Sketchley is our guest blogger today. so good to have you on the blog Janet! I think it was Phyllis A. Whitney, in her Guide to Fiction Writing, who compared getting published to a train arriving at a station. If that train is a breakthrough of some sort, for you or I to benefit, we have to be diligent in the small steps of showing up at the station, bags packed and ready to go. We have to do the work. That means persistence in developing our craft and in seeking outlets to share our words. We also can’t sit back and simply enjoy the ride if/when we board that train. There are always new destinations to reach. For over 19 years, I wrote, re-wrote, and re-wrote again the manuscripts that would become my first and second published novels. I was blogging as well, and had been published with short essays and stories. Those were my very first “trains”. One day a big train huffed into my station, in the form of a publisher’s email offering a contract. I’d done the work, shown up on the platform, but honestly, I didn’t know what to do. Should I get on board? I knew how to handle the rejections, but what did acceptance mean? It meant more work, as the team of editors showed me new levels of crafting this story they thought was publishable. (Who knew “publishable” meant “needs a major refit first”?) Then as the release date neared, it meant learning about promotion and marketing. One plus of working with a small start-up press was the amount of hands-on learning and input I was given. A minus was when the publisher closed its fiction line. Or was that another train pulling in? What I’d learned with my debut novel, plus the connections I’d made with the freelancers who’d edited it and designed the cover, and the connection with a fellow author from that house who was also without a publisher – God had provided everything I needed to move into indie publishing. Thinking about the small steps of preparation and those moments of gleeful (or fearful) embarkation makes me realize one other important thing about the writing journey: it’s best done in company. We may have different destinations, but there’s enough overlap that we can help and encourage one another along the way. Thanks, InScribe, for being one of those groups in which it’s safe to travel. 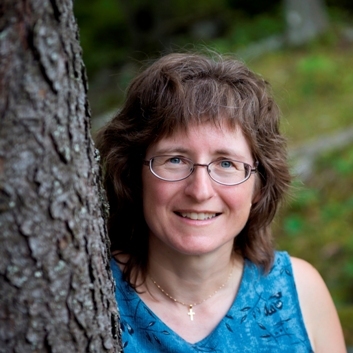 Janet Sketchley is an Atlantic Canadian writer whose Redemption’s Edge Christian suspense novels have each been finalists in The Word Awards. Janet blogs about faith and books. She loves Jesus and her family, and enjoys reading, worship music, and tea. 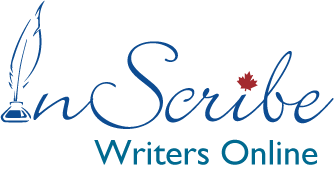 You can find Janet online at janetsketchley.ca, and fans of Christian suspense are invited to join her writing journey through her monthly newsletter: bit.ly/JanetSketchleyNews. I truly love hearing about other writers' journeys, Janet. Your perseverance is truly inspiring. I am also in the midst of republishing some of my work now that I have had the rights reverted back to me, and it is a bit daunting... but just another growing pain! That's it exactly, Tracy -- each step is daunting, but it helps us grow. All the best with your republishing, and thanks for the chance to guest-post today. I too enjoyed finding out how you managed to show up on the platform and followed through on what that train ticket had to offer. 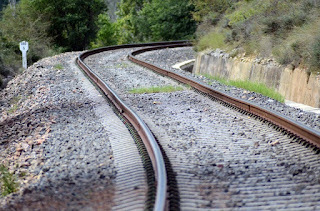 When we are on track, we will go around many curves and even travel through some mountain passes, but you demonstrate that it's worth the effort. I love the image. Thanks for this encouraging blog, Janet. Thanks, Sharon. The curves in our tracks keep us from seeing too far ahead, but maybe that's a good thing. Neat anecdote, Janet, and a good lesson. Thanks. Good to hear you kept going. I think all writers get that urge to give up at one time or another. I'm sure we do all struggle with the temptation to quit. That's one reason we need other writers to keep us on the path!